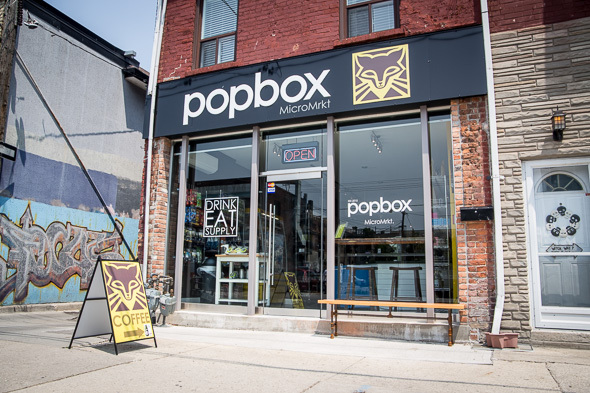 Popbox MicroMrkt on Dovercourt south of Bloor isn't your typical corner store. It doesn't sell cigarettes or lotto and it's not open especially late but it has espresso for a buck, prepared foods and various essentials that locals will appreciate. Owner Attila Sazanyi is a full time artist turned shopkeeper who has parlayed his creativity (and years of professional coffee making) into this modern riff on the oft neglected convenience store. 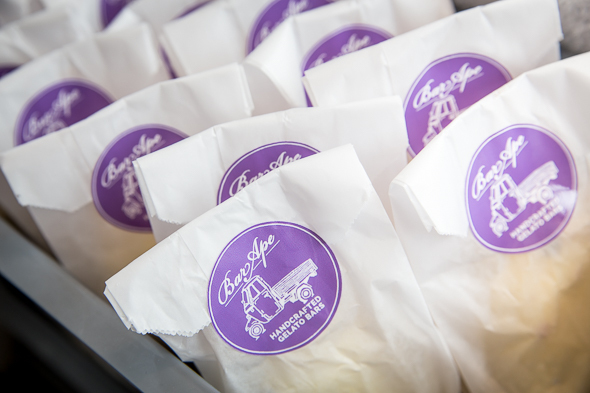 The inventory is thoughtfully curated. 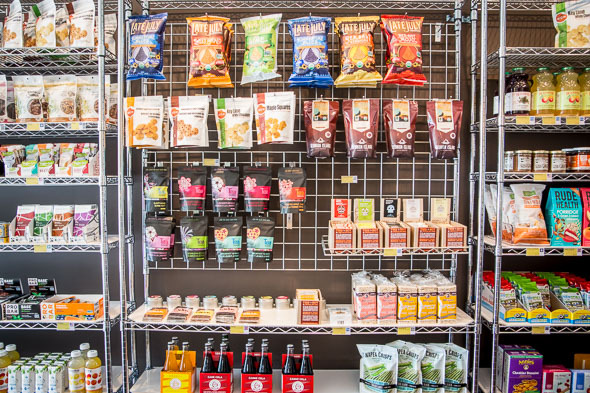 The intent is to cover all the basics; snacks, sundries, household goods, select groceries, etc., but to offer the best, most innovative and unique versions within each category. Sazanyi genuinely likes all the products he sells. 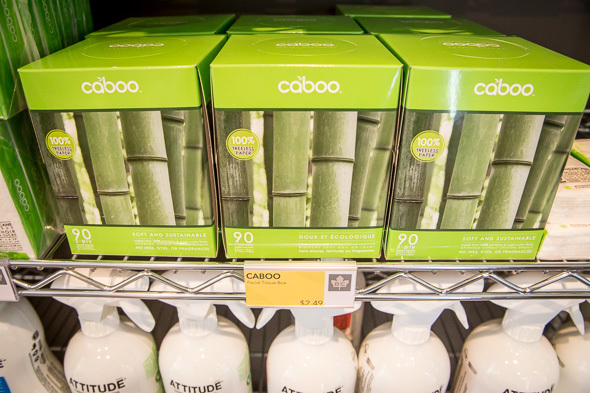 Much of it leans towards healthy or eco-friendly alternatives to the usual big brands. About 50% is sourced locally - the other half (always labeled by provenance) hails from Quebec, the UK, or, California. 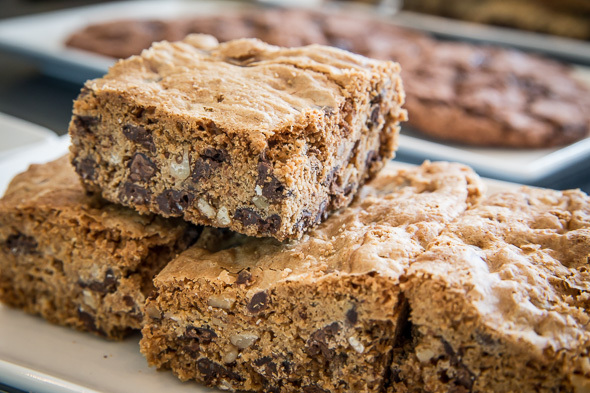 The pastry case is stocked with baked goods brought in from Circles and Squares , while a selection of ready-to-eat items includes yogurt parfaits ($3.50), grain salads ($5.75-$7.75) and sandwiches ($6) made by Cinq Foods . 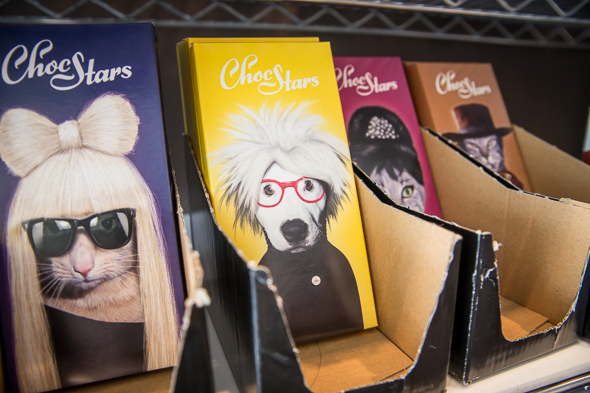 A freezer case upfront is full of Bar Ape gelato bars, and coffees are made from Reunion Island beans. Prices are in what you might call the premium range, and here you'll feel it most on things like bathroom tissue - a four-pack sells for $4.99. But maybe you can take solace in the fact that it's finely spun from sugar cane and bamboo. Is this the future of the convenience store in Toronto? It sure beats much of the competition out there, and one always expects to pay more at the corner store.